In Presidio, a drivers license office that’s been shuttered for months is on track to reopen in January. The Department of Public Safety halted services there in August, as local branches grappled with a staffing shortage. Now, city officials in Presidio say DPS is training former employee Alma Martin — who worked for department for 28 years before retiring in 2016 — to reopen the office. She’ll be able to offer both license renewals and driving tests for area residents. Martin says when it reopens, the office will likely offer services on more than one day a week. Immediately prior to its temporary closure in August, DPS’s Presidio branch was only open on Wednesdays. City Council members are discussing the possibility of moving the office from its former location on Cassell Street to a different building owned and operated by the city. According to City Administrator Joe Portillo, that move would be a way “for the city to meet the state halfway,” — helping the department cut costs in exchange for longer office hours. Officials expect the office to be open by January. 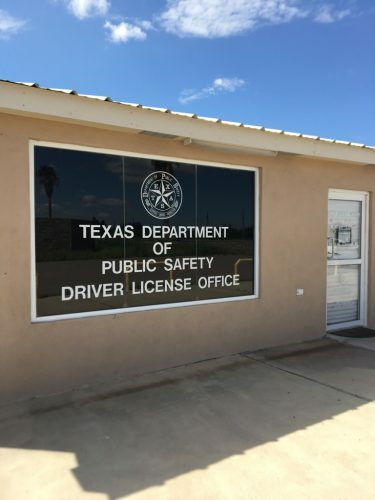 Until then, residents in need of in-person drivers license services must travel to DPS locations in Alpine or Fort Stockton. According to DPS, in certain cases, residents can renew licenses or register changes of address online. Click here or call call 1-866-DL-RENEW (1-866-357-3639) to check your eligibility. This entry was posted in KRTS News and tagged department of public safety, Driver's License Office, Presidio. Bookmark the permalink.